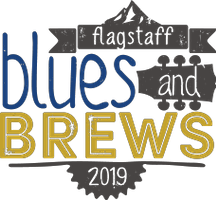 The 7th Annual Flagstaff Blues and Brews grows to 2 days, June 7th and June 8th, in Flagstaff, Arizona! This year’s festival includes, Headliner The Kenny Wayne Shepherd Band, Larkin Joe, Samantha Fish and Tab Benoit. Join us for 2 days of incredible Blues Music with a total of 10 bands, there will be beer, wine, arts and craft vendors, a variety of food vendors, and a kid’s area. Kids 12 and under are free! Thank you to our sponsors, Peak Events, Grogan Electric, Twin Arrows Casino, Hensley Distributors, Pepsi and Satchmo’s BBQ. Visit www.flagstaffblues.com for tickets and more info!